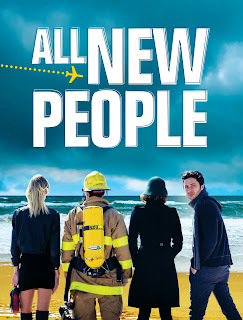 American actor Zach Braff (Scrubs and Garden State) is to make his UK stage acting debut in a new comedy, All New People. The witty play, written by Braff, will be directed by award-winning Peter Dubois. All New People will open at the Duke of York’s Theatre on 22 February 2012. Before arriving in London for a strictly limited 10-week run, audiences in Manchester and Glasgow will get the chance to enjoy the play when it is staged at the Manchester Opera House, between 8 – 11 February and the King’s Theatre, Glasgow, between 14 – 18 February. This angst-fuelled comedy saw New York’s Second Stage Theatre packed out nightly and received rave reviews from US critics, with its present day dilemmas and take on four very different characters way of life. In the dead of winter, at his wealthy friends’ luxury Long Beach Island apartment, Charlie (Zach Braff) has hit rock bottom on his 35th birthday. Away from the rest of the world, this perfect escape is interrupted by a motley parade of misfits who show up and change his plans. A hired beauty, a fireman, and an eccentric British real estate agent desperately trying to stay in the country all suddenly find themselves tangled together in a beach house where the mood is anything but sunny, while Charlie just wishes they’d leave and let him get on with it. Best known for the smash-hit TV comedy Scrubs – nominated for 17 Emmy Awards and watched by over 22 million people worldwide – writer, director and star of the award winning Garden State, Zach Braff is a three time Golden Globe nominee and Grammy Award winner. Peter Dubois was awarded the Callaway Award for Excellence in Directing from the Society of Stage Directors, and recently won the Elliot Norton Award for Best Production from the Boston Theatre Critics Association. Earlier this year DuBois directed Becky Shaw at the Almeida Theatre, which was nominated for an Evening Standard Theatre Award. The UK production will feature an all new cast and further casting announcements will follow. “Zach Braff scores with All New People, a morbidly funny play about the trendy new existential condition of being young, adorable and miserable.” – Marilyn Stasio, Variety. “Sensationally funny! The jokes are delivered with the precision of ace dart throwers in this slick and lively comedy.” – Charles Isherwood, NY Times. “All New People is a hipper, edgier take on the bantering comedies that were once the domain of playwrights like Neil Simon.” – David Rooney, Hollywood Reporter.